Large erection of light spits out delight…! Or so we were promised. 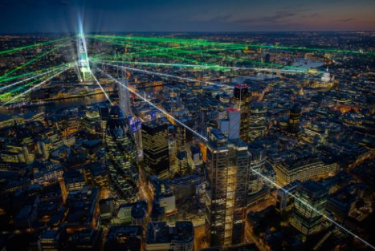 The Shard fired lasers from some of its 95 stories at eleven of London’s best known landmarks including St Paul’s Catherdral, Canary Wharf, the Houses of Parliament and the Tower of London. The thing is, nobody could see them! What a letdown.